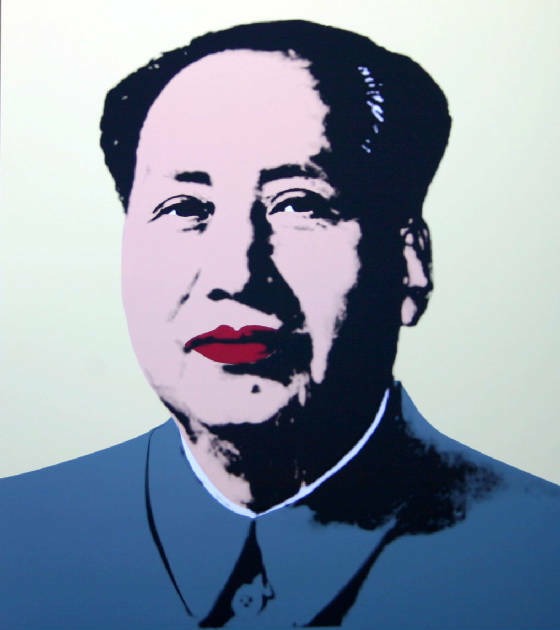 Andy Warhol Mao undoubtedly comes from being drawn to Mao because of the media’s attention to the thawing of diplomatic relations with the People’s Republic of China in the early 1970s. 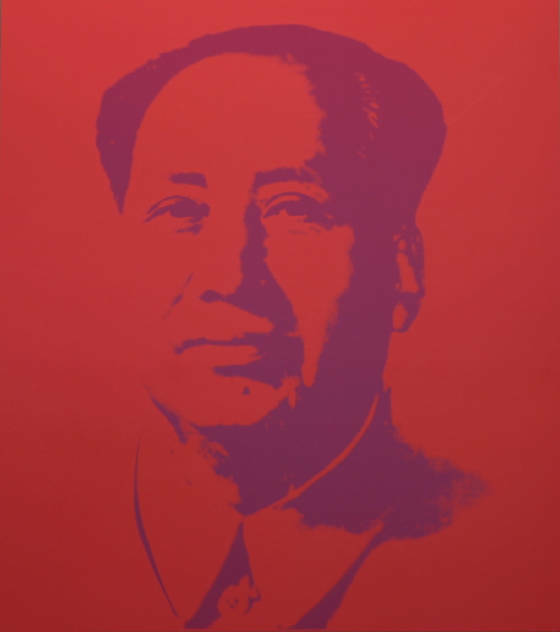 Warhol used the official portrait of the Chinese leader and stayed true to his signature technique, creating many color variations of the impression. The subject was controversial enough and Warhol created even more controversy with his interpretations. Blue eyeshadow, crimson outsized lips, lemon yellow cheeks, seemed to taunt the dictator with a garish and feminine cosmetic feel. These Sunday B. 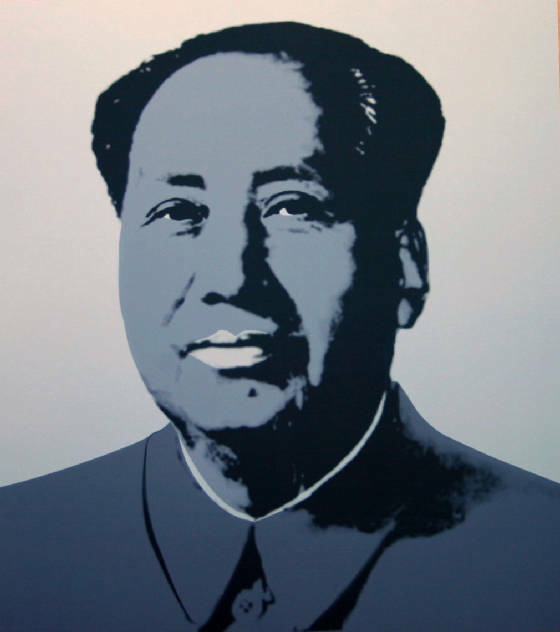 Morning Mao prints are almost exacting in detail to the original Andy Warhol Mao prints. They are beautiful screenprints. 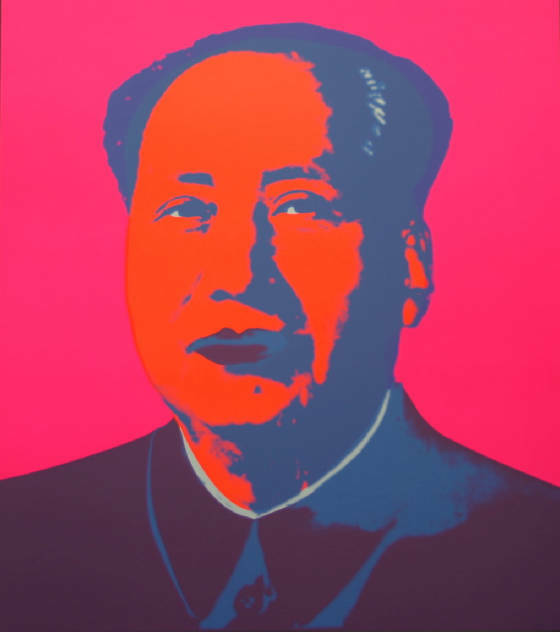 Own a piece of Andy Warhol Mao without the high price tag. GinaArt is an official dealer for Sunday B. Morning. We sell the prints as a portfolio of five prints or they are also sold separately. Each print comes to you with a Certificate of Authenticity issued by the publisher. Contact us for details. See our blog for the story of Sunday B. Morning and Andy Warhol. Thank you for your comment and I apologize for the late response. I’m so sorry but I just saw this comment. I hope it’s not too late to quote and discuss. I’ll send you an email directly to your gmail account.